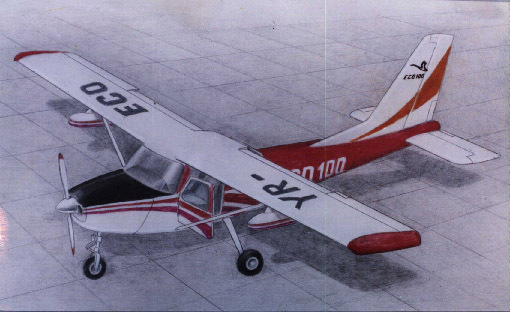 ECO 100 prototype, designed by Aircraft Design Group, is now well into the final stage. 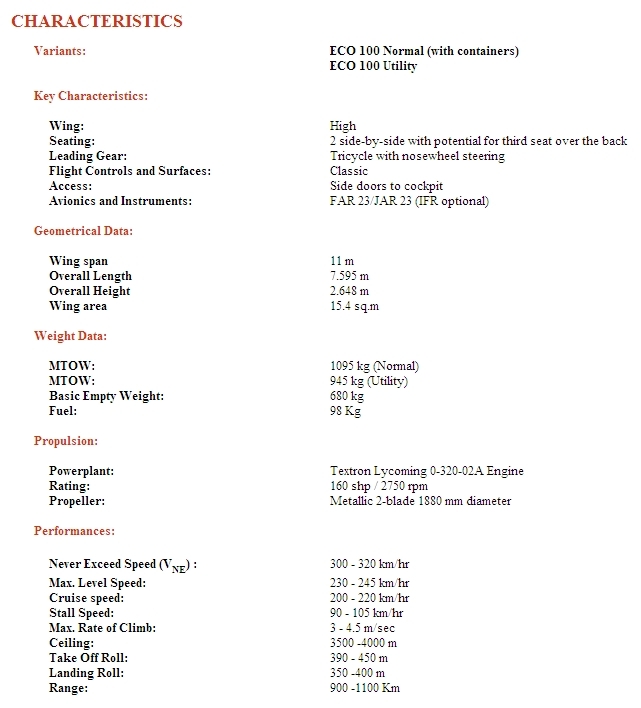 HTML clipboard ECO 100 is a 2 side-by-side seat multipurpose single engine piston light aircraft. 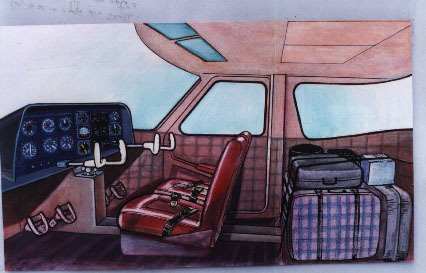 Its main purpose is tourism/leisure, but can have other mission too, complying with appropriate regulations, having the capacity to carry two underwing containers, 110 kilos each. The aircraft operates on concrete runways and on grass half-prepared fields. The constructive solution, that is a high wing aircraft - facilitate its stability maintaining thus a good manoeuvring and excellent visibility. A low wing payload makes possible diminishing of take off/landing distances even on unprepared ground. HTML clipboard HTML clipboard The tricycle landing gear with nose wheel and leaf springs main undercarriages allow safe evolutions during landing, avoiding thus accidental over nosing. HTML clipboard The structure is conceived to be a modular one, made of such components to allow easy construction, maintenance and repair. The ability to meet a wide variety of mission requirements represents the most outstanding feature of the ECO 100. In compliance with FAR/JAR part 23 regulations' requirements.